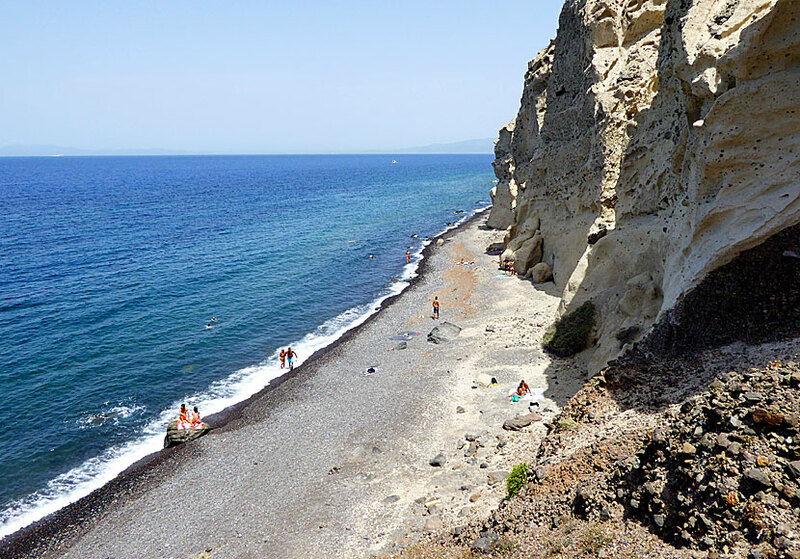 Katharos beach lies a few kilometres north of Oia. Katharos is Oia's nearest beach, unless you include the bathing-place with rocks in Amoudia. Baxedes Beach is also nearby, but to get there you need a private way of transportation. Katharos are located within walking distance. To get there, walk, or drive, towards the port of Amoudia below Oia. About halfway you will see a sign pointing toward Katharos. Katharos beach. Thirasia in the background. A narrow path leads down to the beach from the parking lot. You might be a little disappointed at first, because the beach you see on the left side is nothing to write home about. But when you turn around and look to the right, it is just to take out your cell phone, take a picture and send an MMS home to your loved ones. Katharos beach in the other direction. Just like when it comes to the beach of Vlychada, it is not the beach itself that makes me happy, it's the high lava cliffs that surrounds the beach that makes me happy. The cliffs seems almost threatening and you feel pretty small. But a refreshing swim in the crystal clear water happily makes the feeling to go away. 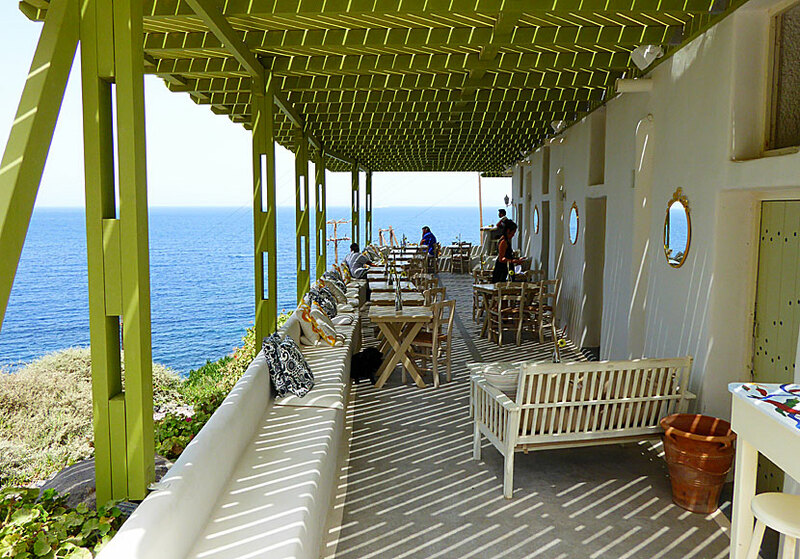 Above the beach lies a cool taverna and bar with fabulous views, and it is worth going here just for the taverna. The taverna above Katharos beach.